Ahhh at last- it has shown to come true. 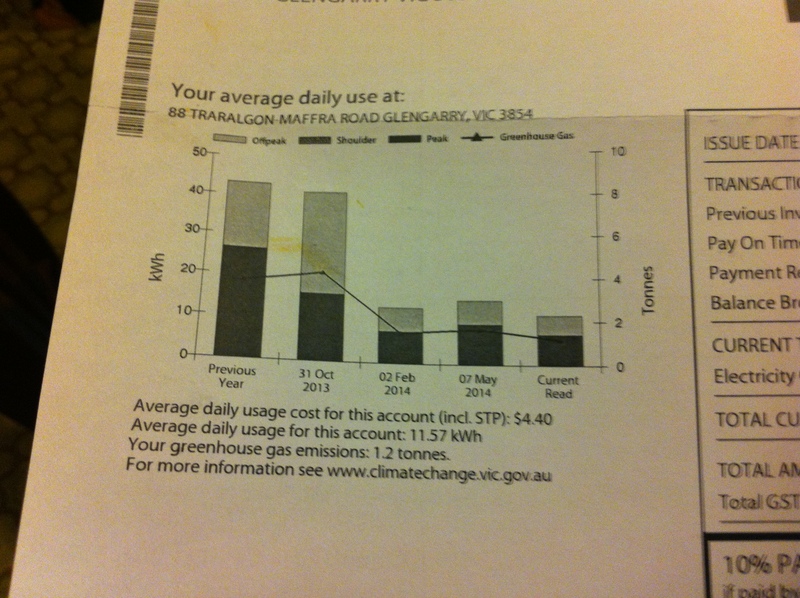 Thats just halved my Power bill- with still some options before adding solar panels. And basically just got a 13% return on investment- thats not too bad- about 4 times most term deposits- this is the language that’s missing from sustainability- real investment and real returns. Payback period of just over 7 years- then after that thats an extra $1300 in my pocket each year to reinvest into the property- extra insulation, gas stove, better freezer, or by then to help pay for the solar panels. Great to see it in such real, hands on terms. Been toying with idea for a while, access to firewood needs to be part of the equation too. Especially as ageing and not able to cut, split collect as easily as once could.